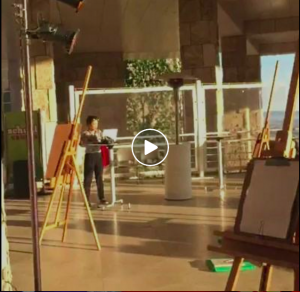 Our interns press the “Go Live” button and just like that we were broadcasting live from the Getty Center. The first Facebook Live video was a short 6-minute clip. After the broadcast was done, our Getty interns show me the stats. We had reached more than 30,000 Facebook feeds and the broadcast generated 258 reactions, comments and shares . Amazed by these impressive figures we decided to do more. Next up, our interns did a Facebook Live broadcast, about 7 minutes in length of one of our Museum educators talking about Van Gogh’s “Irises”. After the broadcast was finished, we saw that our reach had doubled. This time the broadcast reached 58,000+ Facebook feeds and had 1,429 reactions, comments and shares. We did a few more broadcasts from Getty College Night with each one, the numbers amazed us and we quickly realized the potential of this powerful platform. Last week, on August 4, we had our best Facebook Live broadcast to date in terms of quality, equipment, choreography, synergy and overall engagement . In one day the broadcast was pushed to 336,000+ Facebook feeds and to date has had more than 11,000 view and received 1,046 reactions, comments and shares. At the height of the broadcast 117 people tuned in from literally around the globe: Berlin, Yangon, Myanmar, Amsterdam, Taipei, D.C., WA, OR, NC, CA, TX, NY, NJ and more. 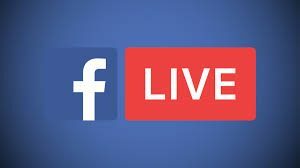 Since learning to do Facebook Live broadcasts has been a steep learning curve over the past four months, I thought I would share 14 of my struggles and successes to save others some of the pain I’ve endured. The day before the broadcast on August 4th, I realized that the gimbal I borrowed, the FLY-X3-Plus 3-Axis Smartphone Gimbal Stabilizer, doesn’t fit an iphone 6s+ so I had to bring my husband’s smaller iphone to the Getty for the broadcast. I just ordered the LanParte HHG-01 3-Axis Motorized Handheld Gimbal Active Stabilizer for GoPro iPhone 6S Plus after watching this video so I will find out on Monday how well it works. To monitor questions, post prompts – like tell us where you are tuning in from – I usually have someone responding and engaging on a laptop in the gallery since it’s easier to type on the computer keyboard than on an iphone. Be careful not to press the “Go Live” button when typing the description into the FB Live window. Maybe obvious but a good reminder, test the broadcast beforehand to make there is reliable wifi in the gallery. I usually test it on my own FB page by selecting, “only me” and then I “Go Live” to make sure everything will work. I used a Rode lav mic with a Rode extension cord plugged into the phone in the gimbal to ensure quality sound. The only downside to this approach is that there is a lot of cord on the ground so you have to be careful if you are moving around the space. Plan to do the broadcast before the museum opens to the public otherwise the galleries can get too noisy. Do a walk-through with the curator or educator in advance to talk through the shots and the choreography. I usually show the curator how the shots will look on the iphone so they can get a sense of the scale and framing. I also tell the curator that I will follow their prompts so if they say, “Let’s take a closer look” I can zoom in on a detail in the painting. Our audience loves details. The person filming, can share questions as they come up during the broadcast and the curator can answer them. This lends an informality and spontaneity to the program. Remind the curator to solicit questions as they go. Promote the broadcast on social media in advance. For example, I usually pin a Facebook post to our page a few days beforehand and then I update the post each day until the broadcast. I also promote it on our other platforms. I tell the curators to talk for as long as they feel comfortable doing so. Usually the broadcasts are around. 25 mins. After the broadcast, go back and edit the video in Facebook, add a text description and tags. Since we had talked about using these broadcasts for docent training, I sent a link to the video to the Docent manager. In the future we are going to notify the docents in advance so they can watch and participate in the broadcasts. Make sure your lens is clean! Once I did an entire broadcast with a blurry lens. I had forgotten my glasses, so I couldn’t tell that anything was wrong. Finally halfway through the broadcast someone mentioned it in the comments and it was totally embarrassing! 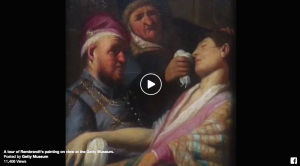 Our Facebook Live broadcasts have been so popular that now all our curatorial departments are participating, and developing original content to compliment their collections. This fall we will be doing several Facebook Live series, one on animals and bestiaries to commemorate the 150th anniversary of the San Diego Zoo and an exhibition at the Timken Museum in late September featuring the Getty’s, “The Entry of the Animals into Noah’s Ark,” by Jan Brueghel the Elder, a series on Dec Arts: silver, ceramics and secret compartments and a series on the paintings collection highlighting specific works or art and movements. Please don’t hesitate to reach out if I can answer any questions and / or serve as a resource for others. I would also love to hear about other people’s experiences. Thanks!